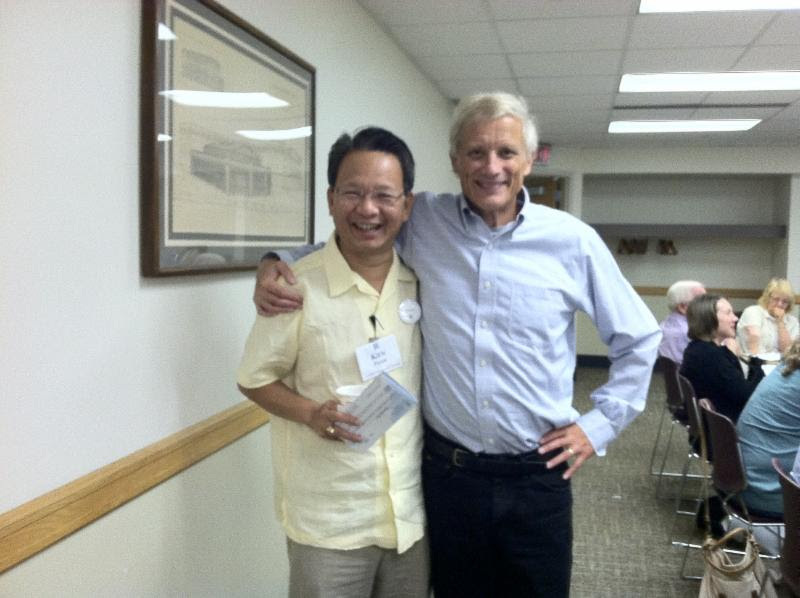 My Stanford business school classmate Kien Pham is the most amazing person I know. Having escaped from post-war Vietnam in a boat and arriving in the United States with no money and speaking no English, he went on to graduate from Stanford (where is on the list of the top 100 alumni in the history of the school), become a White House Fellow, and while establishing a successful business career also working to rebuild relations between the U.S. and Vietnam. Today Kien and his family live in Ho Chi Minh City (the city known as Saigon when his odyssey began) where he is one of the most prominent entrepreneurs and philanthropists in Vietnam. Then Kien spoke up. “Of course it can be done,” he said. He went on to say that they would crowdsource the task. He told his team to ask the 250 graduates of the Vietnam Education Foundation – an organization he founded to send Vietnamese graduate students to study at America’s top colleges – to volunteer to translate part of a chapter. Then a much smaller group would pull it together and do a quality check. Lesson #1: If something “can’t be done” it often just means you just need more help. Lesson #2: In order to get the help you need, you have to be willing to ask for it. Lesson #3: You are far more likely to have a positive response to that request for help if you have previously helped the people you are now asking to help you (Thursday’s Promise of The Self Empowerment Pledge is “I will earn the help I need in advance by helping other people now and repay the help I receive by serving others later”). Lesson #4: Appending the letter T to the word “can” is like putting an umbrella over a picnic table – it blocks out the light of possibility. When you remove the umbrella, all sorts of possibilities come to light. Since the Pickle Challenge for Charity was launched 18 months ago, more than $50,000 has been raised for charitable causes by challenging people to make a 25-cent donation to the charity selected by their organization every time they caught themselves or a coworker whining and complaining. This means that more than 200,000 times people in participating organizations have turned a complaint into a contribution in just those 26 organizations in just a one-week period! Values Coach has added $15,000 in matching donations to the charities selected by participating organizations. Inspired by Kien and his “can do” attitude, we have set our 2017 goal to raise $1,000,000 for charitable causes by having people deposit a quarter into a pickle jar every time they catch themselves or someone else whining and complaining. Learn more about The Pickle Challenge for Charity at the PC4C website – better yet go to Amazon and buy the book Pickle Pledge that I wrote with my friend and colleague Bob Dent at this link.